Already acclaimed as an innovator in the world of spa textiles, RKF Luxury Linen has been intent on revolutionising the design of the humble spa robe in recent years. Traditionally the most unflattering, least trendy garment to be seen at a luxury destination, RKF has been intent on elevating the spa robe to a hot fashion item. 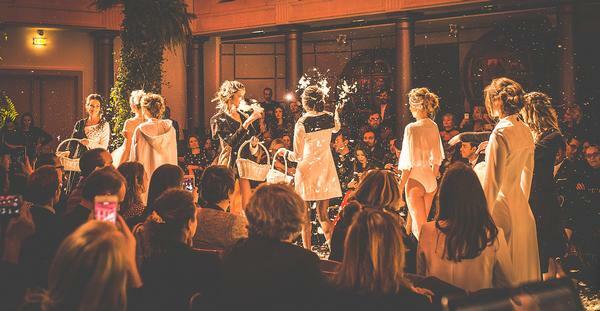 And judging by the reception earlier this year to RKF’s inaugural fashion show at Paris Fashion Week, the French textile company seems to have succeeded. RKF’s CEO Riadh Bouaziz says: "Bathrobe design has changed very little over the course of history, but RKF is now revolutionising that. 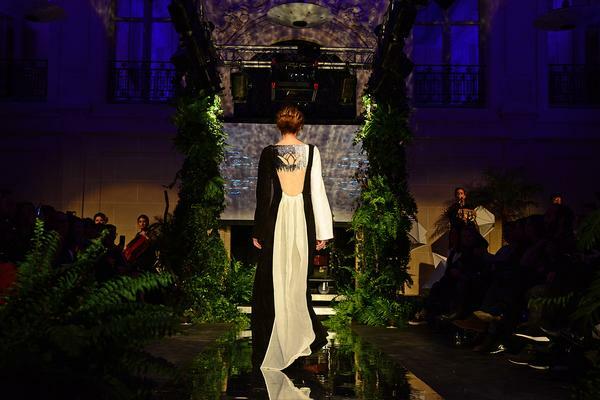 "In March, we exhibited 33 unique designs in Paris and at the end received a 10-minute standing ovation from some very discerning eyes in the fashion, cosmetics, spa and hotel industries, as well as international journalists. 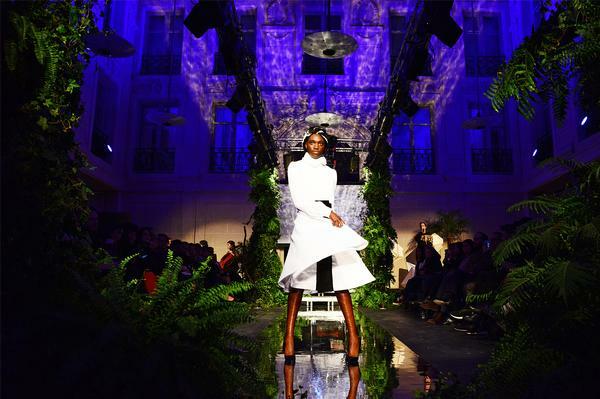 ‘Utopia by RKF’ treated the audience to a 40-minute, high-energy fashion event featuring live music (electro pop and a classical string quartet), a dancer, backdrop videos, botanical scenography, and a striking mirrored catwalk. This show was 100 per cent designed, managed and produced by RKF’s team: fashion design, soundtrack, tale, scenography and choreography." Bouaziz adds: "The show took a whole year of planning and organisation, but the results were spectacular. You could not distinguish our bathrobes and designs from other haute couture items." Such was the impact of the event in the fashion world, that soon after RKF was invited as star guest for Tunis Fashion Week in Carthage in May. Bouaziz says: "We redesigned our Paris show to fit the historical setting of the 1st Century amphitheatre, and in just two weeks our talented team created extra designs inspired by Tunisian history and mythology." The year 2018, which saw the company celebrate its 18th anniversary, also welcomed many new high-end partnerships for RKF, including worldwide brands such as Dior, Valmont and Filorga, as well as luxury hotels and resorts like W Tel Aviv, Kempinksi Geneva, Bulgari Dubai, Mandarin Oriental London and Doha, Four Seasons George V Paris, Lotte Seoul, Parklane Cyprus and Blue Waters Resort Dubai. Bouaziz emphasises that RKF is also dedicated to bringing its particular brand of luxury to all segments of the wellness and hospitality market. That’s one of the reasons the company used the EquipHotel exhibition in Paris in November 2018 to relaunch its corporate identity into three key categories. ESSENTIEL by RKF will provide the must-have, all-white products for spas and hotels, using RKF’s award-winning range of textiles like Dreamsoft and Timeless. COLLECTION by RKF is where the company’s creativity and expression truly comes to the fore, serigraphed garments, innovative designs and a high level of embroidery detail. "We now have the largest capacity in the industry for creating and producing bespoke embroidery. In RKF group, we also have one of the largest collection of handcrafted embroidery patterns and archives dating back to 1834," Bouaziz adds. Finally, SIGNATURE by RKF will feature designs that are far ahead of what’s currently available in the spa linens market. Elements of these designs will filter through to every collection that RKF brings to market. Starting with a societal problem related to disability, the RKF team has also developed a particular textile design that will be integrated into all its products. Showcased at EquipHotel in Paris and remaining true to Maison RKF’s design philosophy, Bouaziz says this particular technique not only brings "societal added value", but also a refined finish to products. 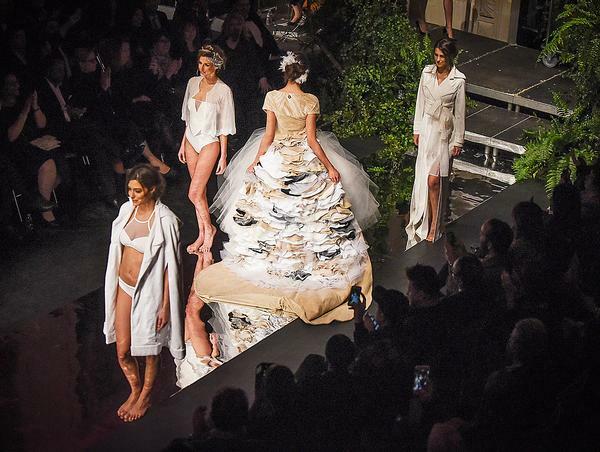 While RKF has brought fashion very much to the fore, it has never compromised on investment in R&D, which continues to yield fabrics that are incredibly lightweight, cost-effective to launder, durable and eco-friendly for spa and hospitality environments. Bouaziz says: "We’ve listened to the feedback and requests from wellness experts, and are now considering creating a 360° textile experience that’s featured throughout the spa – not just in the therapy rooms and relaxation areas. "It’s now widely understood that lying on a massage table that feels deeply comfortable and sensual must be the first step to wellness, but customers’ expectations are getting even higher. "That’s why we’ve created bathrobes as fashion items. And we have new products coming that will offer a brand new customer experience. The boundaries of wellness, beauty and fashion are becoming more blurred and that’s really exciting. "In future, there’ll be no more wellness without fashion. Given the spa’s luxury environment it just doesn’t make any sense to have ill-fitting robes and uninspiring linens." As RKF gears up for its busiest year of business yet, there will be many more launches to come in 2019. Currently under wraps is a ‘highly unique and art-inspired’ concept that Bouaziz says will filter through to all of RKF’s collections. In addition, three major events are also to be announced – for France, the Middle East and Asia. Meanwhile, Bouaziz will also retain his tenure of France ambassador for Global Wellness Day for a third year, planning and overseeing events for the eastern region. Alongside its work to elevate spa fashion, RKF’s digital assets have also received a complete makeover, with the launch of a new website and the development of its industry blog. An e-commerce store that will also cater for the B2C market will be launched at a later date. This could well be another growth area for RKF, as the company has already become an influencer on social media, breaking away from what’s considered a traditional supplier industry to become an inspirational brand that attracts a much more diverse following. "The teaser video for our Paris fashion show alone received more than one million views on Facebook and two million views on Instagram," says Bouaziz. RKF’s official Facebook page now has more than 30,000 fans, and the CEO himself – a worldwide traveller and sought-after speaker – has garnered his own personal Instagram following of more than 30,000 fans. All this serves to highlight how a niche B2B supplier has successfully managed – through technological innovation, investment, great vision and sheer passion – to transform itself into an inspiring, fashion-driven brand that’s admired way beyond the industry it serves. As RKF Luxury Linen gets ready to launch into a new year, Bouaziz’s personal upbeat catchphrase of "think positive, do positive, feel positive" could not be more apt.